When Chris comes home with the news she has been chosen to be a drum majorette in a parade and that her uniform will cost forty dollars, Lucy tells her she can't afford it. Chris gets a job at an ice cream shop, Wilbur's Ice Cream Parlor, to pay for her majorette uniform. On the day of the parade, the owner, Mr. Wilbur, won't let Chris miss work to be in the parade. Lucy and Viv take her place at the shop, with predictable misadventures. Viv does alright as a waitress but Lucy makes a sticky mess as the soda jerk. Special Notes: The original script was titled 'Lucy is a Drum Majorette'. 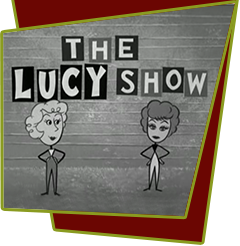 Lucy's real life daughter Lucie Arnaz makes her professional debut in this episode at the age of twelve. She appears as an employee at the malt shop.